The Frame was one of the highlights from the South Korean TV maker at the IFA show in Berlin. It is in essence an edge-lit LCD TV that doubles as a picture frame. 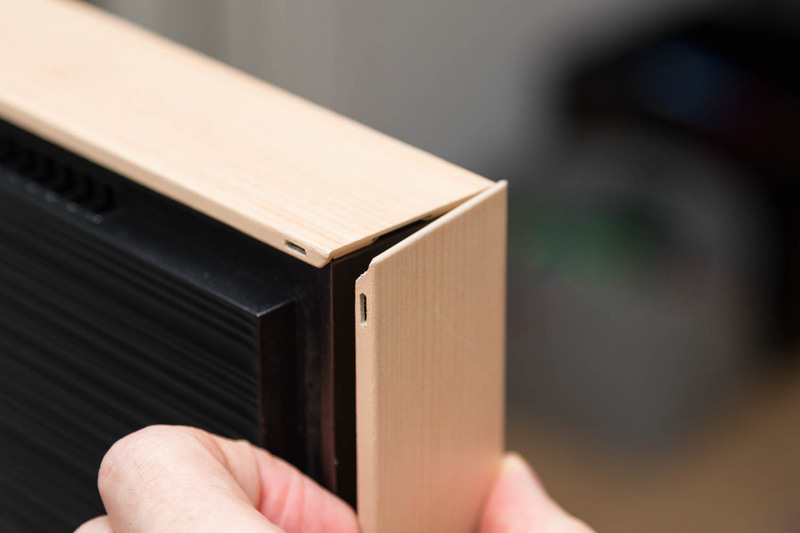 The Frame offers some of the features that you get with the flagship Q9 such as the flush back, the full One Connect box, and a no-gap wall bracket solution. The user also has the option to change the frame to either one made of wood or one made from metal. The Frame is not a conventional TV so we have been eager to take a closer look. It exists in three sizes (43, 55 and 65") and we have the 65" mounted on Samsung’s studio stand, which is a floor stand. It is an optional accessory. The Frame in many ways looks like Q9. It is a minimalistic design based on a metal frame. For a price you can change the frame to one made from wood that elegantly attaches to the TV via magnets on each side and top/bottom. Our sample came with a wood frame in veneer that looks like beech wood. It also exists in a darker mahogany version and a white-lacquered metal frame. The idea of a TV that doubles as a picture frame is not new. 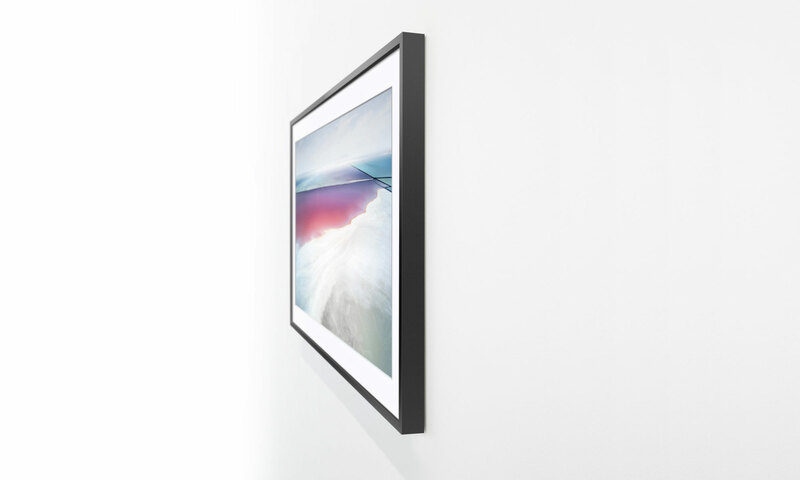 Sony launched the EX1 almost 10 years ago but one important distinction is that the matted frame was a physical element on Sony’s TV and not something that was added digitally as on Samsung’s The Frame. 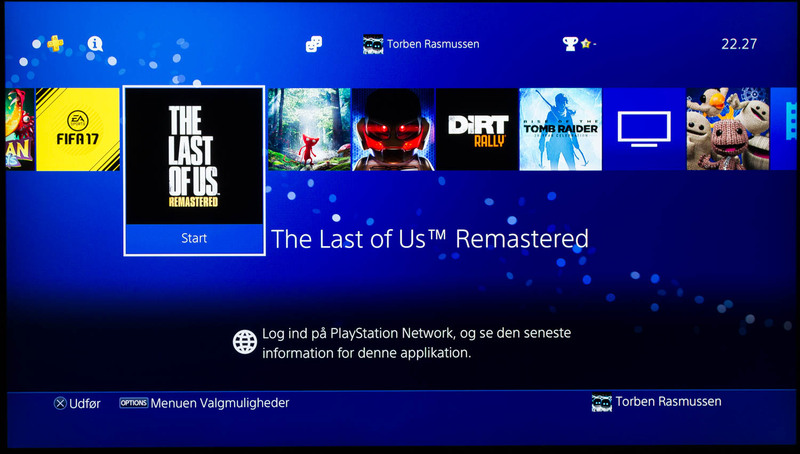 Sony decided to kill to the project after a short period so it cannot have been very successful. It is now up to Samsung to carry the torch. The company has seen success with the predecessor Serif so there must be a market for these kinds of TVs. If you are planning to let it double as a picture frame, one thing to consider is the size of the TV. The 65" size is quite big compared the typical picture frame whereas the 55" appears more harmonic – at least to me. Of course, it depends on your living room environment. Samsung recently added a smaller 43" version to the line-up. The back of the TV is flush, like the flagship Q9, with support for Samsung’s no-gap wall bracket that is included in the box. A product like this almost demands that you mount it on a wall but if you insist you can place it on a "Studio stand", a three-legged metal base that resembles an easel stand. 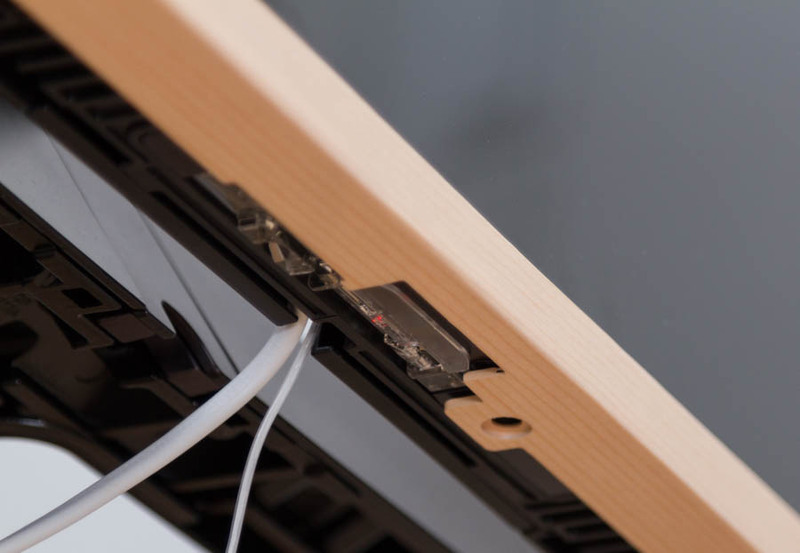 The Frame requires only two cables routed to the actual TV, a power cable and the optical cable for the One Connect box. Both cables can be routed out through one of the Studio stand’s behind legs, which ensures a clean and streamlined installation. There are a couple of sensors under the TV to measure the light level in your environment as well as motion. 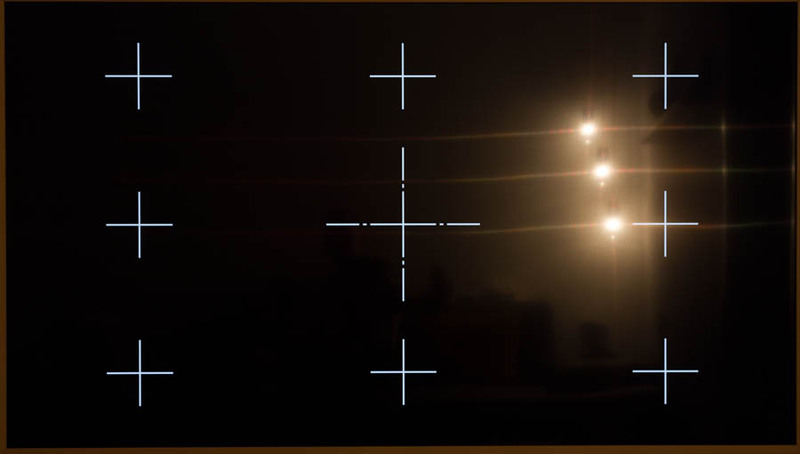 These are intended for the picture frame mode - more on that in a minute. The One Connect is identical to the one that comes with the Q series models, which means that all connections must go here. The TV ceases to function without the box. You cannot use the TV as a pure streaming TV because even the processor for the Tizen platform sits in the break-out box. The same is true for Samsung’s other TVs. The optical cable to connect the One Connect to the TV is 5 meters long, which gave me enough flexibility to get it out of the way. If you need a longer one, Samsung sells a 15 meter version. The One Connect box requires a separate power cable, meaning it takes two power cables to awaken the beast. Unfortunately, the remote for The Frame does not feature the nice metal housing that the remote for Q9 came with. It is a white version that more closely resembles the cheaper version that comes with the MU series models. There are some differences that we will go over in a minute. Reflections in the panel are relatively modest and low compared the typical LCD panel. The TV is well-suited for brightly lit environments. Samsung continues to push its home-grown Tizen operating system that is not limited to TVs but can be embedded in everything from refrigerators to cameras. The company has added a few extra features to accommodate The Frame. We have already examined the 2017 version of Tizen (version 3.0) in depth and there are no noteworthy differences besides the picture frame features. For a detailed review of Tizen check our Samsung Q9 review. In this section we will focus on the features unique to The Frame. 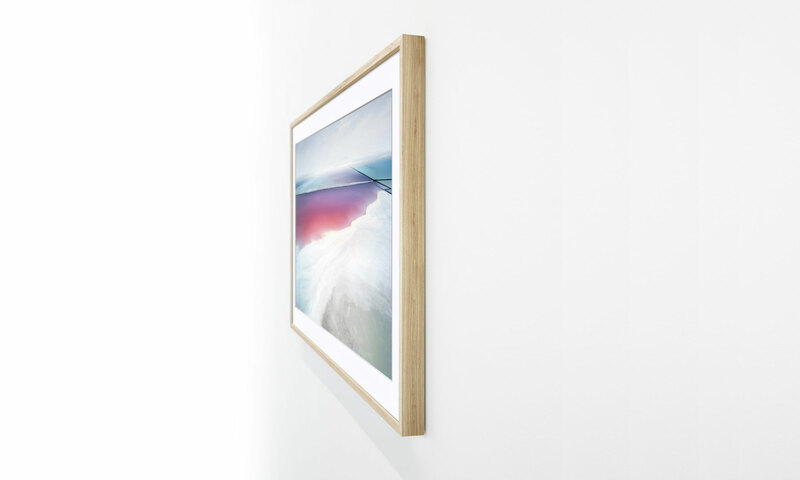 The Frame comes with a complete art section that lets you configure how to show digital art on the panel when not in use. There are 150 pictures available, each of which can be configured to be shown either in a floating frame or matted (or nothing). From the TV menus you can customize framing and the color as well as load in photos and pictures from a connected USB device or Samsung’s archive. You can also load in pictures from your smartphone via Samsung’s SmartView app that in addition offers more advanced options to customize the look. If you want even more pictures than the 150 included with the purchase, you have the option to buy access to subscription service (Art Store) for $5 per month. 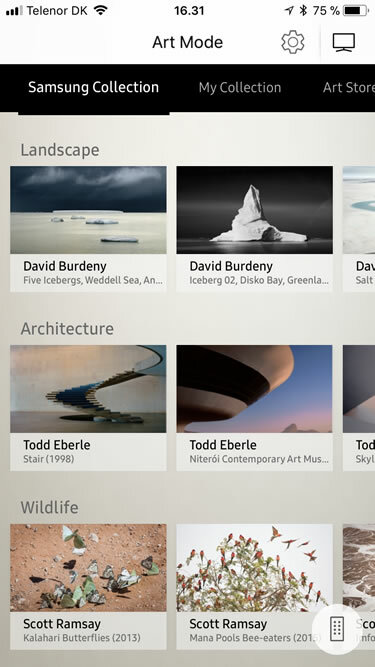 It includes an additional 300 digitalized art pieces from professional artists. 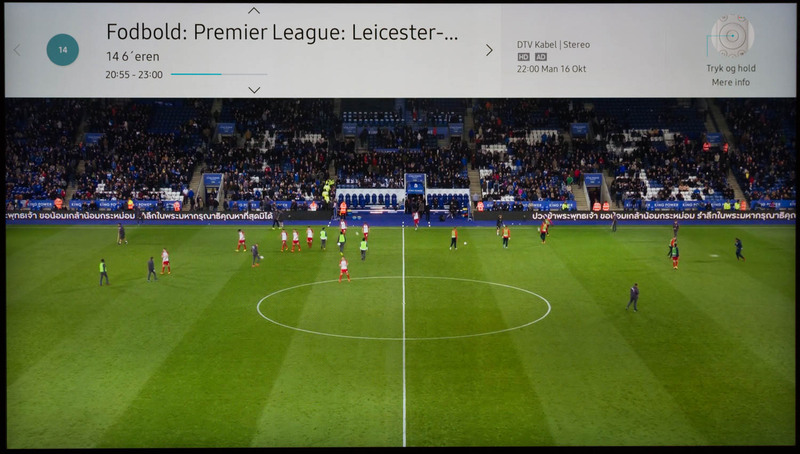 The pictures are in high-quality but it is still a little hard to swallow the subscription fee to gain access to fresh pieces when you have already paid a premium price for the TV. It should be noted that the TV does not support rotation – or slide show function – meaning that you cannot define a queue of pictures. 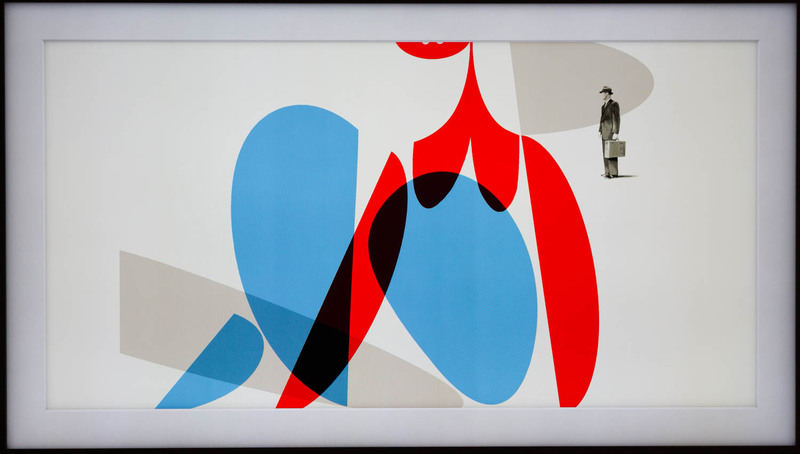 You have to manually select which piece of art is shown, and manually change it. While it makes sense that the picture remains fairly constant, it would have been nice to have the option to define a "playlist". On the other hand, the restriction forces you to look at something that is actually worth looking at. From the SmartView app you can configure the overall brightness of the LCD panel that is also regulated in accordance to your environment with the light sensor at the bottom of the frame. 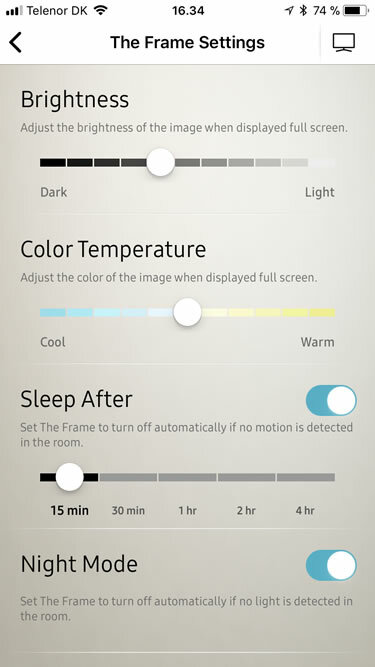 You can adjust the overall color tone / temperature but again this is regulated by the sensor to match the time of day and your environment, meaning that it will compensate for the more reddish tones early in the day and the cooler tones at noon. In the evening, the TV will make sure to tone down brightness and when it gets dark it will automatically turn off. If you have The Frame installed in a bedroom it will automatically turn on whenever someone turns on the light and turn off when the light is turned off. My impression is that the light sensor works well and the TV most of the time managed to adjust the light level to match the environment. However, in the evening I felt that the picture was slightly too dark and if you increase the overall brightness level it will become too bright during daytime. Besides the light sensor, there is a motion sensor built in that you can activate to make the TV automatically turn off when there is no motion in the room. 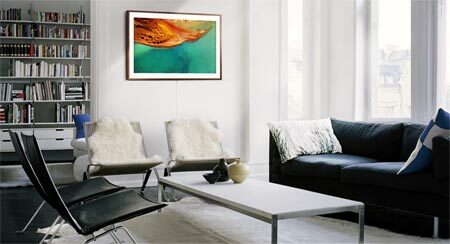 It is a practical feature to avoid wasting energy and money on showing pictures to your furniture. You can adjust how much time must pass before the TV turns off and the sensitivity of the motion sensor. However, the on/off sensor sometimes woke the Apple TV that was connected via HDMI, which prompted the TV to switch to the corresponding HDMI port. This is unfortunate if you are planning to use the picture frame mode. The motion sensor also failed to keep the TV alive at some points even though people were moving around directly in front of the TV. 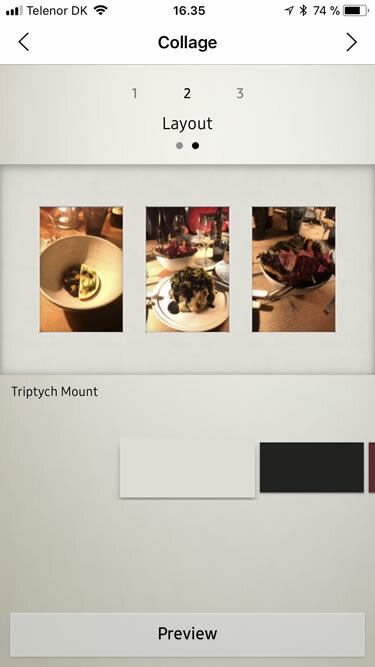 With the SmartView app you can load in your own photos, either in full-screen or a collage. On a 65" TV with 4K resolution the limitations of mobile photos become apparent and it is clear that while the pictures look fine on a small 5" smartphone display or even a larger 10" tablet, they are too compressed for the large screen. This is certainly not something that I can recommend as my photos from an iPhone 7 had tons of artefacts. If this is something you are planning to use I would suggest that you use the collage function. Or at least use a DSLR. 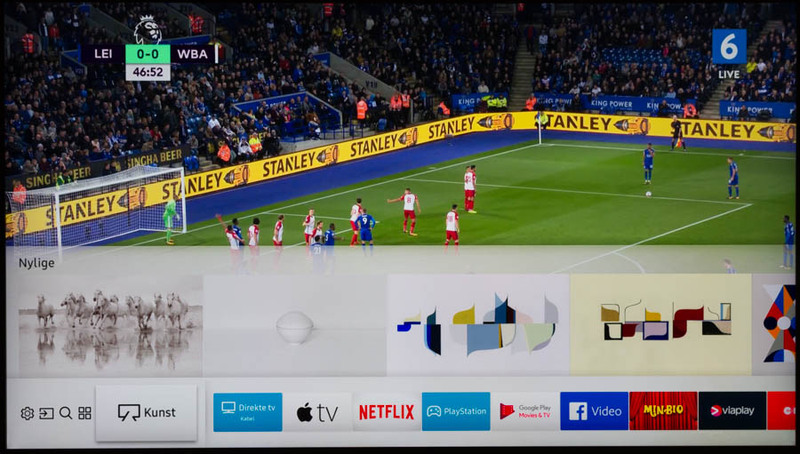 The feature that allows you to show your own photos is pretty neat but unfortunately I often experienced a connection problem that prevented the SmartView iOS app from connecting to the TV. I experienced the same problem when I reviewed Q9. 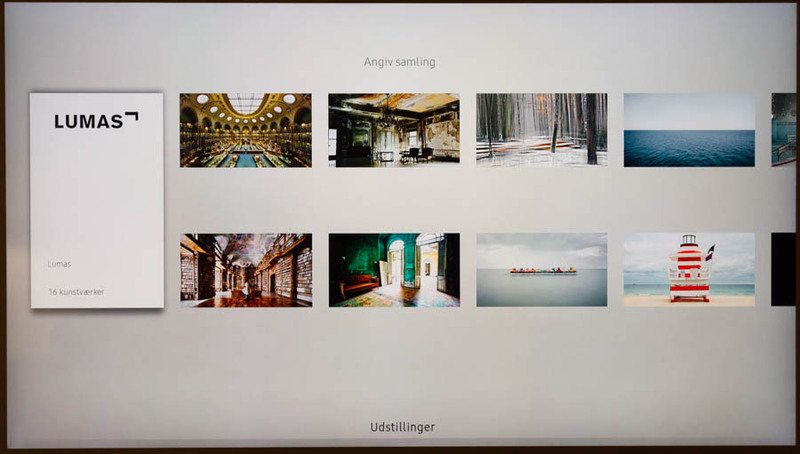 While you rarely use the app on other Samsung TVs, it is essential with The Frame as it is the only way to load in your own photos (without using USB). The app is also the control center for The Frame. We also experienced some issues with setting up The Frame in a dark environment as the TV automatically turns off when it is dark so during our photo session it ended up crashing, which required a hard reset to rectify. The problem is mostly academic but there are clearly some kinks to iron out. Nothing in this world is free so using the TV as a picture frame naturally comes with a cost as it continues to consume power. How much depends on how bright the TV is and this again depends on the time of day and your settings. 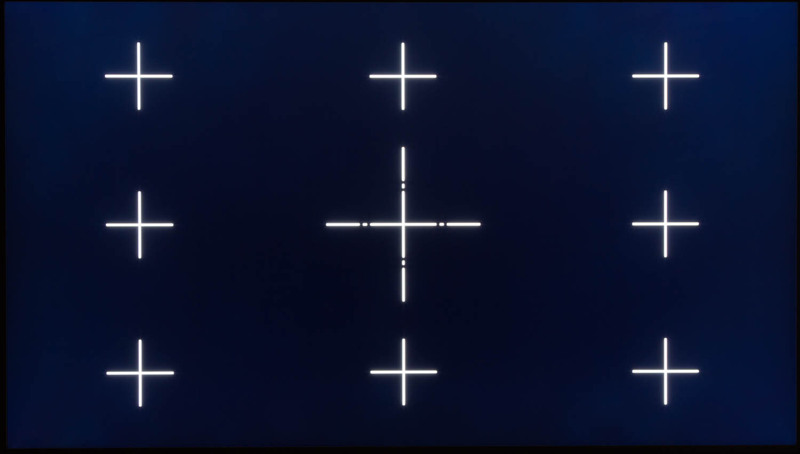 Based on the settings that we found to be optimal, the TV, in picture frame mode, typically consumes 100W during daytime and about half in a dark environment. During these times of environmental awareness it hurts a little so see one device annul all other saving in the home simply by being a digital picture frame that is on mostly during daytime. The cost per year of course depends primarily on how many hours the TV is running. To reduce energy consumption during daytime Samsung could have implemented a feature to let the user define a time of day where the TV should remain off, i.e. during daytime on week days. The actual cost is likely to end up somewhere between "typical" and "minimum" in the table to your right. 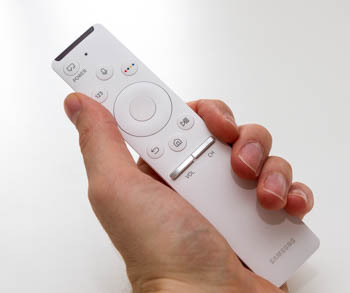 Samsung has included a single remote in the box and for The Frame it has chosen the same "One Remote" that comes bundled with the mid-range MU series models. The on/off button has been modified to have a double function. A single click will wake the TV to its picture frame mode whereas holding down the button will switch to TV mode. The overall feel resembles that of the remote control that came bundled with MU7000 and even though doesn’t compare to the premium remote for the Q models, it has a good weight to it, a and nice tactile feel. 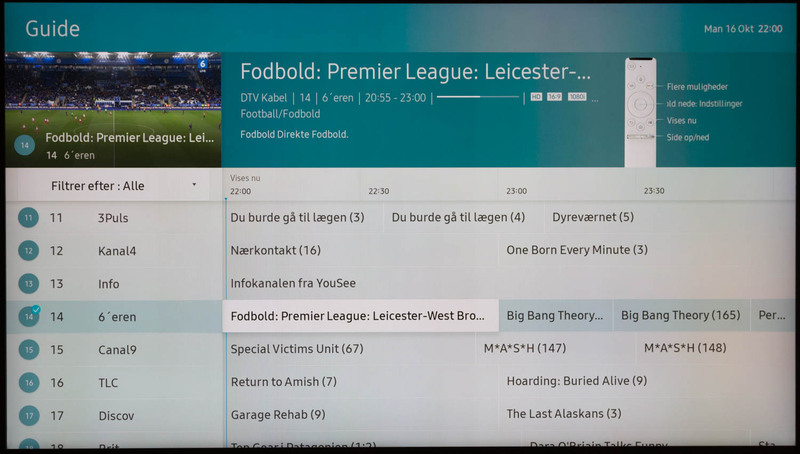 The minimalistic design appeals to the younger generation of TV users that navigate a TV via the EPG rather than zapping between channels, and users who use streaming services that demand simple navigation. Some may feel that it is too simple but we believe that Samsung has created a remote control for 2017. External devices can be controlled via IR codes if the remote control recognizes your equipment but not all functions can be controlled as there are relatively few buttons on the remote control, and you cannot map the play/number buttons to special functions. 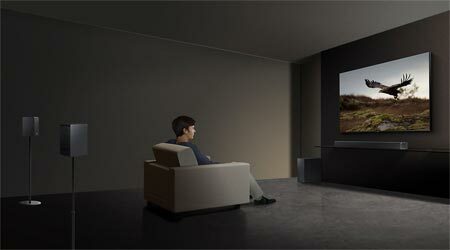 Bang & Olufsen’s IR command system is more comprehensive if you favor this method of control. 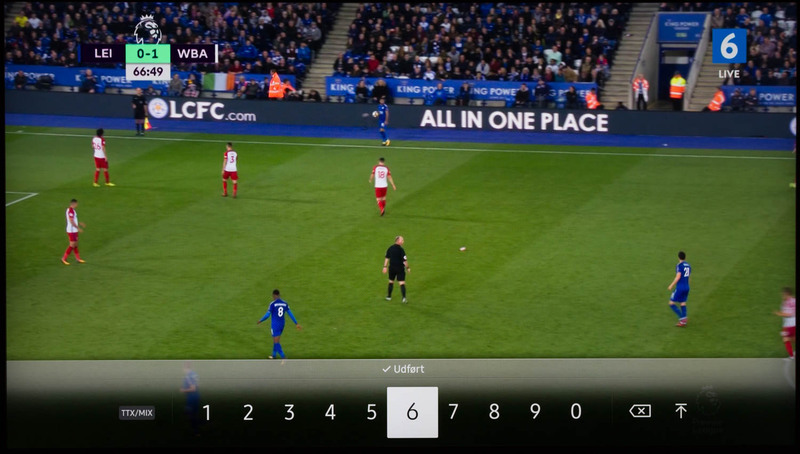 The exceptions are Samsung devices such as UHD Blu-ray players that mirror their features into Tizen’s bottom menu, making it easy and seamless to control, even if the remote has relatively few buttons. You could argue that the issue stems from the fact that most consumer electronics products are still designed to be controlled with a chaotic remote with a myriad of buttons. While connected devices are controlled via IR, the One Remote communicates via bluetooth when commanding the TV. The premium remote is available to buy separately but you will lose the option to turn on the TV into picture frame mode, and the power off button will switch off the TV. 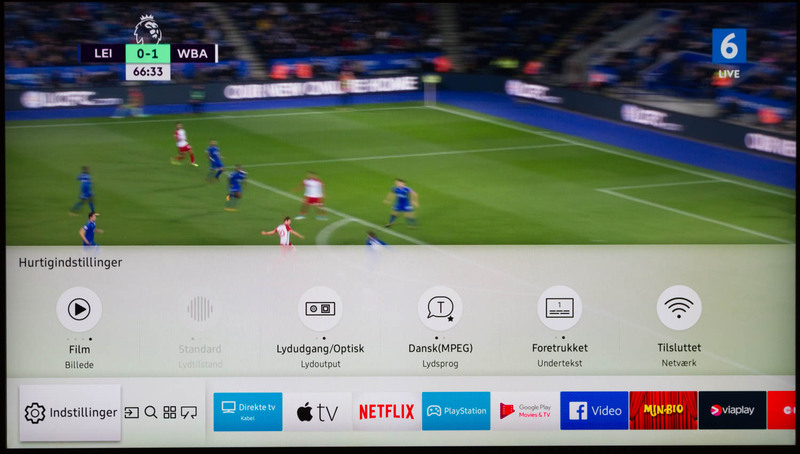 As mentioned in previous reviews, you can also use the SmartView app to control the TV functions but we are not convinced that this makes sense. TVs have to be completely rethought for it to be useful. Everything relating to TV channels is unchanged so we refer to our reviews of Q9 and MU7000 . Note that The Frame does not feature a twin-tuner so you cannot use picture-in-picture mode and you cannot record one channel while watching another. This is a shame because Samsung’s PiP features are handy. It is also a strange omission considering the The Frame’s relatively high price tag and considering that it uses the same One Connect box as the Q series models. The speakers in The Frame are not very good. They sound shrill and lack bottom so we cannot recommend them for more than casual viewing. 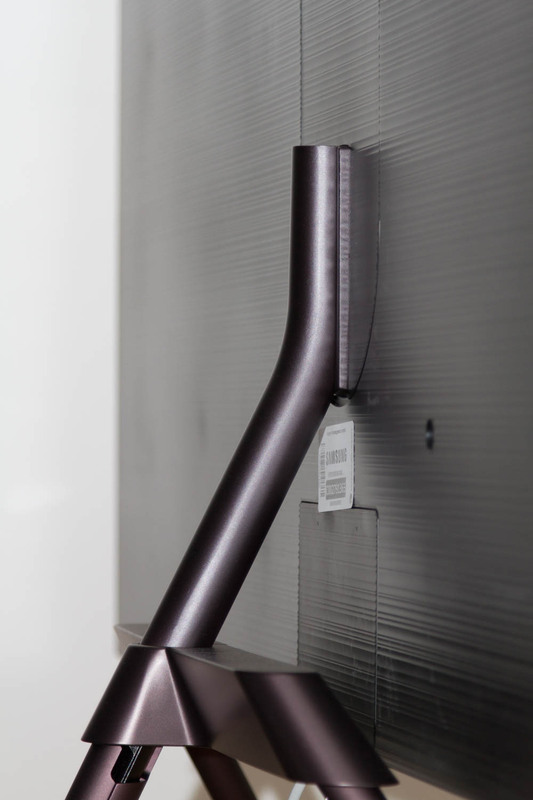 Unfortunately, adding a soundbar takes away from the elegance and simplicity of The Frame. 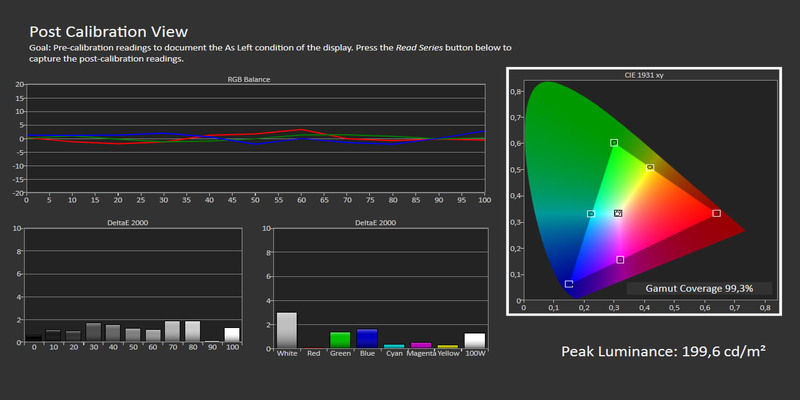 The Frame offers the same calibration options as Samsung’s other TVs, including advanced white point and CMS controls. These advanced options cannot save the ’Standard’ mode that forces a too wide color space and as a result offers poor color accuracy. The first thing you do should be to change to the ‘Movie’ mode. The Movie mode offers better color balance (Samsung aims for 2.3 gamma rather than 2.2) but colors are still pulled out into a too wide color space, even when it is supposed to conform to Rec.709. This resulted in too saturated greens and reds. There are three settings for color space, with ‘Auto’ and ‘User’ yielding similar results and ‘Expanded’ being an emulation of DCI-P3, which is even worse. To rectify the issue one needs to carry out a full CMS calibration, which is something that is completely out of reach for the regular user. To reach the result that you see in the graphs below it is necessary to set the color space to User and adjust the CMS settings. Since there is variation from one panel to another these settings are individual to each sample so we have chosen not to share our CMS settings. Our recommendation is to have The Frame calibrated and we urge Samsung to fix the issue via a firmware update. Any TV must be capable of reproducing Rec.709 as intended. 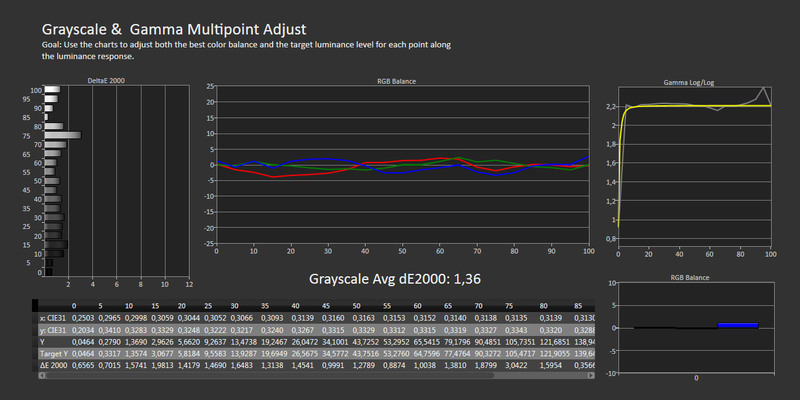 We managed to improve the white balance by using only the 2-point setting options but as you can see we had to sacrifice some precision at the bright end to improve grey tone tracking. Normally, one would adjust 100% white (100 IRE) to the lowest possible offset but this made the IRE 50-90 grey tones appear wrong on the screen. 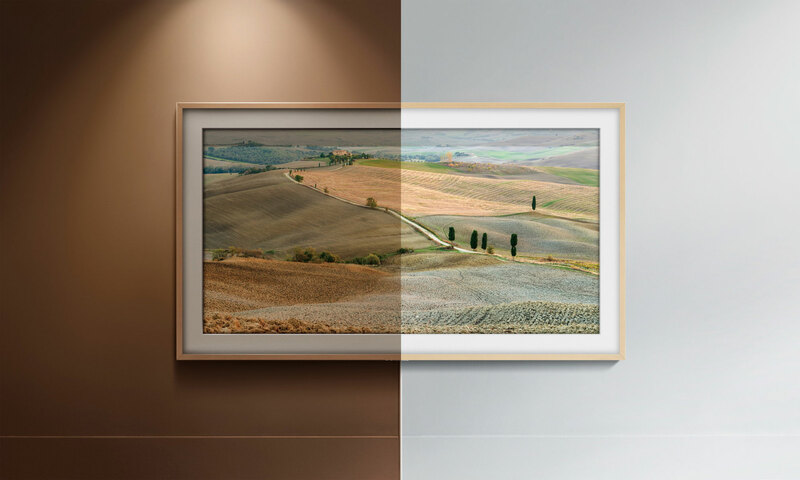 For more accurate picture quality you need to employ the 20-point color settings but we reached color deviations below 2, which is generally considered the threshold for visible differences. 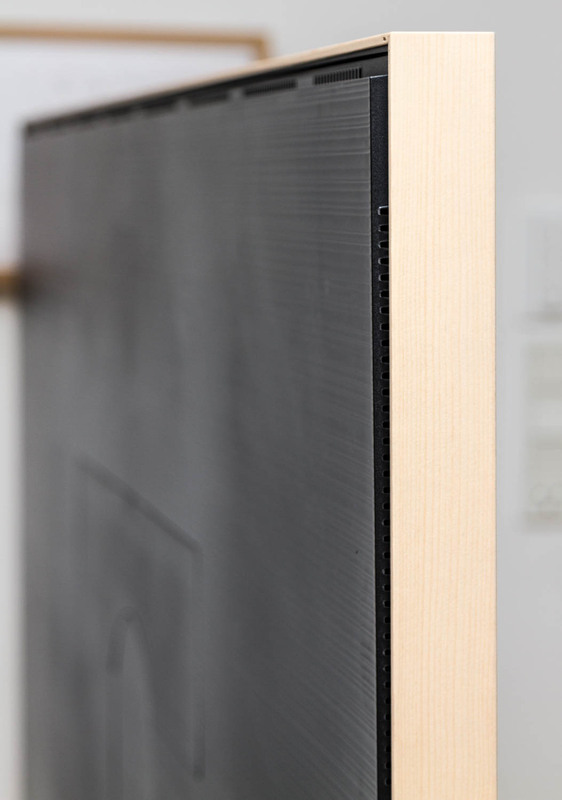 The Frame is – like all of Samsung’s other TVs this year – based on an edge-lit LCD panel. Unlike the Q series, The Frame is not equipped with a quantum dot film so the color space is not as wide. 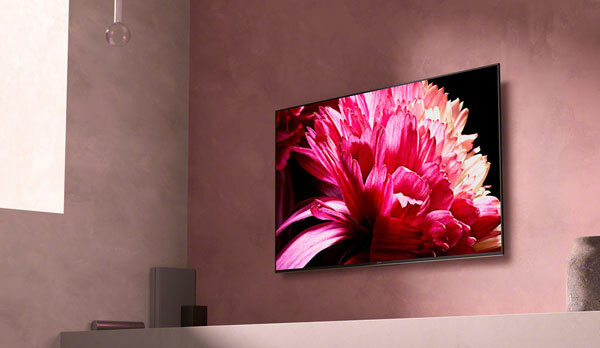 The LCD panel is not capable of reaching the same peak brightness levels either so in Samsung’s 2017 line-up it can perhaps best be described as an MU series TV with some of the Q series features (design and One Connect). The picture engine in The Frame is quite capable and it processes SD, HD and 4K sources as expected, which is good news. Starting from the bottom, it offers unproblematic upscaling and de-interlacing. We had to take advantage of the CMS to adjust the color space in order to get accurate color representation in skin tones and grass. In its default settings The Frame would slightly expand the color space and oversaturate some colors. While some viewers may instinctively favor these colors as they look a little punchier, know that they are not accurate. Samsung is not pulling the colors all the way out into the DCI-P3 color space in the ‘Auto’ setting, which is the good news since it would result in visibly wrong colors, but some other TVs do (and The Frame’s ‘Native’ mode does, too). 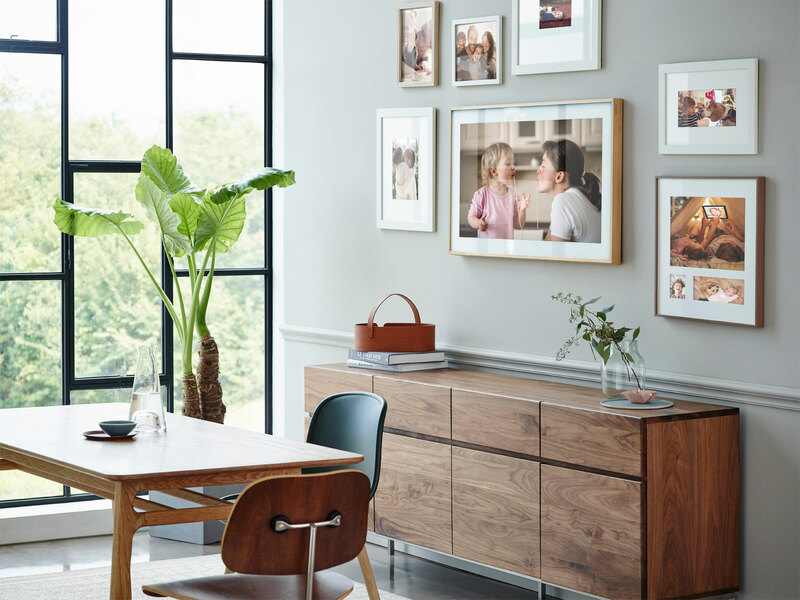 The Frame is bright enough to fit in even very bright living room environments but since it is built on an LCD panel, black levels will degrade as the backlight increases – which brings us to 4K HDR. 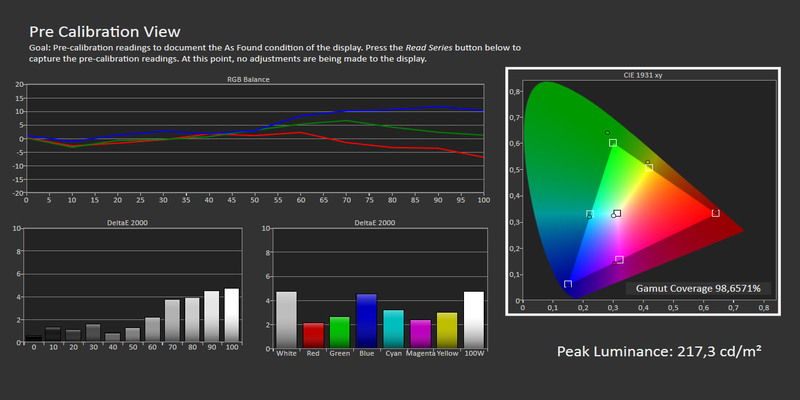 Unfortunately, this is where the edge-lit LCD panel shows its weaknesses compared to local dimming LCD TVs. The Frame hits a peak brightness of a little under 500 nits but at this brightness level blacks appear grey. 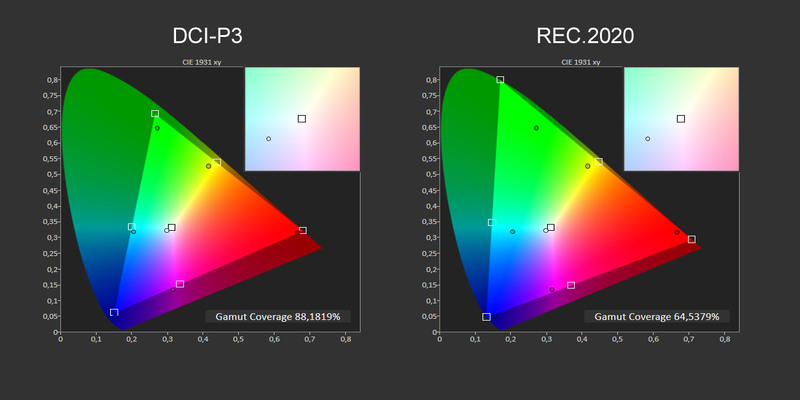 These factors combined with the lack of a quantum dot film (it covers only around 90% of DCI-P3) means that The Frame cannot reproduce HDR, even though it claims support. 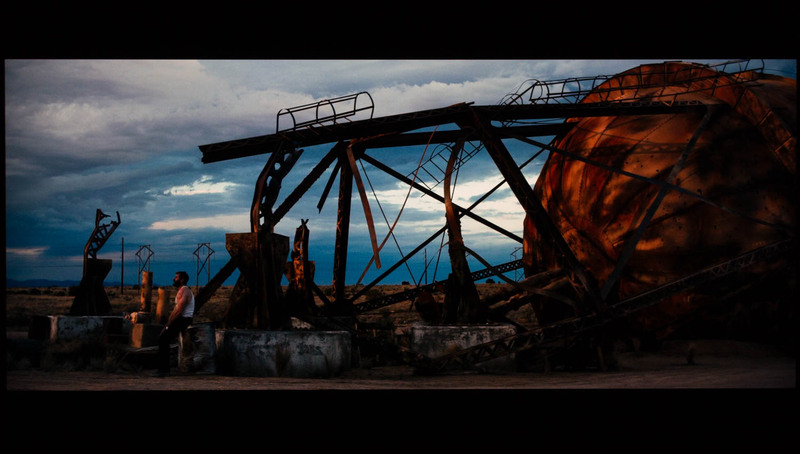 This is regardless of whether you are watching HDR via Netflix, iTunes or a disc. If you have HDR sources and want to give it a shot my recommendation is that you lower the backlight level to avoid washed out blacks. That way you can still to some degree benefit from the expanded color space. 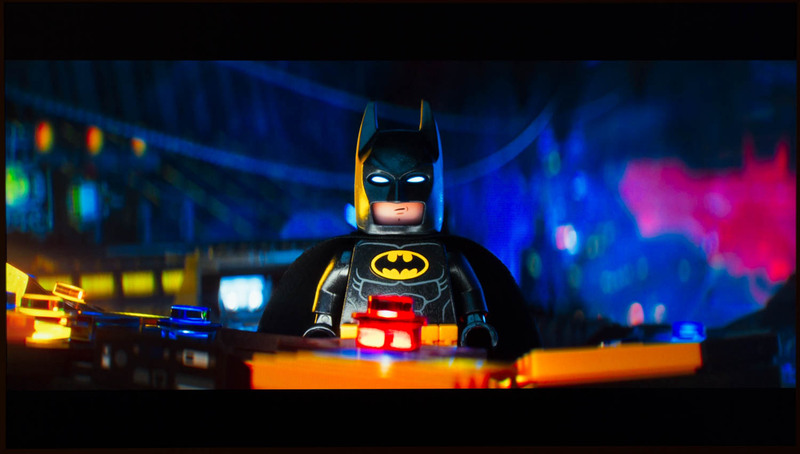 In the photo below you can see how Batman looks in SDR and HDR10, respectively. Even though it is hard to capture on camera you may be able to see how specular highlights are slightly brighter and how colors are more saturated but at the same time how shadows are elevated in HDR10 mode, which is unintentional. If you want to compare you can check out the same comparison photo on an OLED panel in our BeoVision Eclipse review. Notice how colors are more saturated while at the same time specular highlights are very bright and shadows remain deep and intense. As mentioned earlier, it is not possible to deactivate dynamic or global dimming of the LED backlight so at times you will notice how the overall picture gets affected by subtitles and other bright elements in scenes. 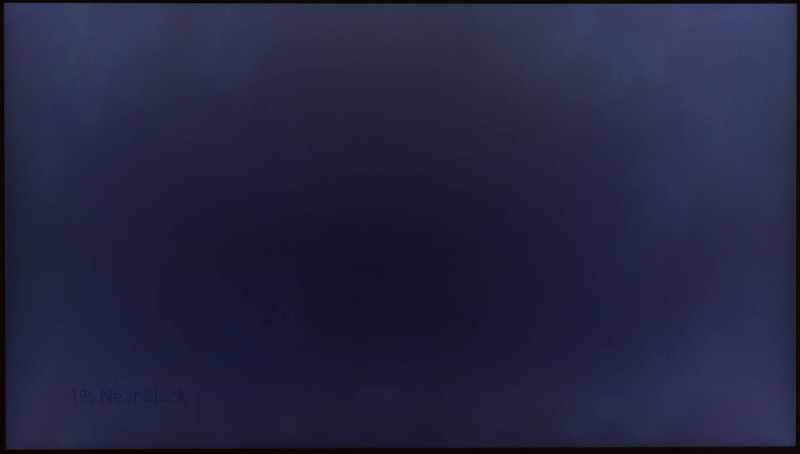 Once you see it, it hard to unsee, and it can by distracting when watching content with a fluctuating APL (Average Picture Level = percentage of brightness in the picture) as it continuously prompts the backlight to fluctuate, too. On the Samsung Q9, we spotted an issue relating to how the semi-local backlight control mechanism introduced black clouds when watching letterboxed content. The Frame does not employ the same kind of edge LED segments so ironically SDR content looks better on the The Frame than on Q9. Samsung has decided to pass on the Dolby Vision HDR standard to instead develop a royalty-free alternative in HDR10+. However, it should be pointed out that the plans for HDR10+ are still hazy and it is not clear how widely it will be adopted or if major streaming services will support the project (only Amazon has pledged support). This is a shame because it effectively means that it is not yet possible to watch HDR content with dynamic metadata on a Samsung TV. One could argue that it is not a very big loss, considering the poor HDR performance. Motion reproduction is comparable in form and effect to other Samsung TVs. The MotionPlus system, which can interpolate motion, swiftly introduces artefacts and the infamous soap opera effect so our recommendation is to avoid using it. 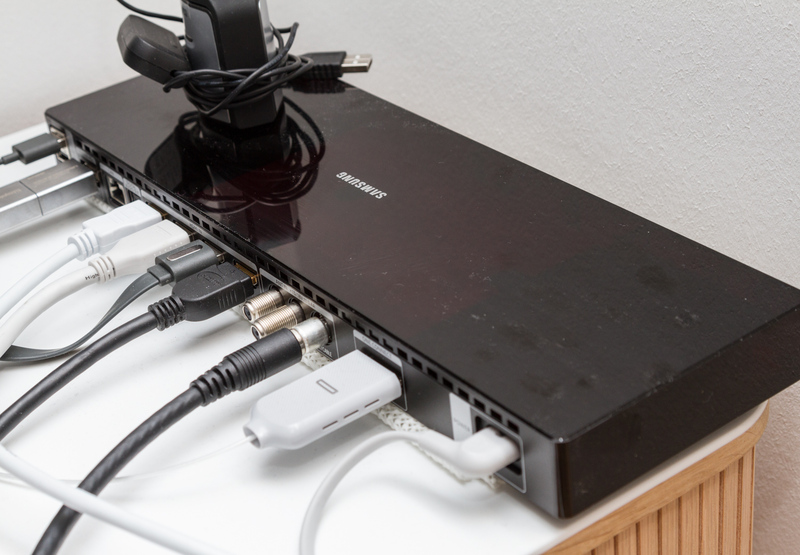 We also experienced micro stutter from time to time on all sources – HDMI, TV tuners and apps. Samsung has struggled with this for several generations now and it appears that no fix is in sight. Some people never notice it while others do. Without MotionPlus engaged motion resolution is comparable to OLED TVs. As you may know, PlayStation 4 and Xbox One S (and X) both support gaming in HDR. We tried to fire up a PS4 Pro but unfortunately the HDR gaming experience largely mirrors that of the HDR movie experience on The Frame. The poor black levels and elevated shadow details kind of ruin the gaming experience in HDR. 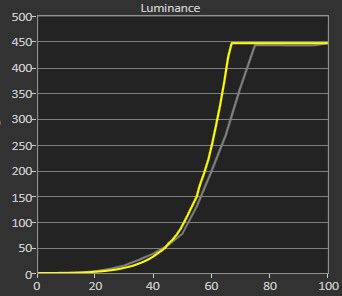 Once again we recommend that you reduce the backlight intensity to avoid getting a washed out picture. For gaming, activating the Game mode reduces input lag to 21 ms, which is one of the lowest levels on the market, but as usual it also offer very poor color accuracy. We are not convinced that an expanded color space in an LCD panel in The Frame is even a benefit. We should stress that Game modes on most TVs look like this, except on Panasonic’s latest TVs. 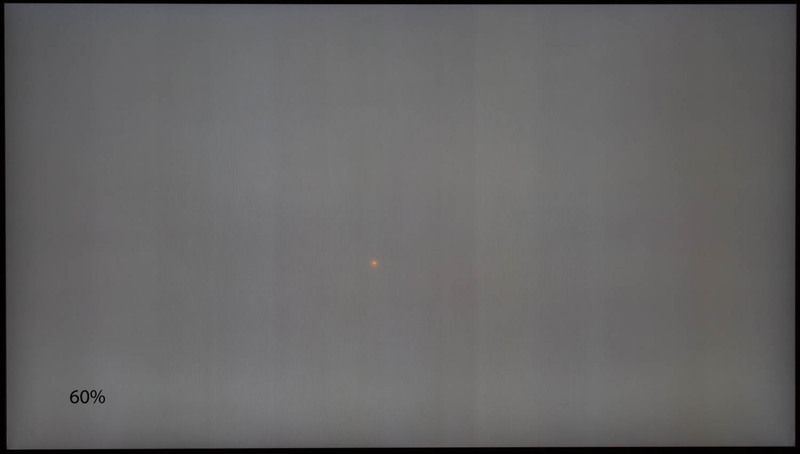 We examined backlight homogeneity to find that some banding was present. 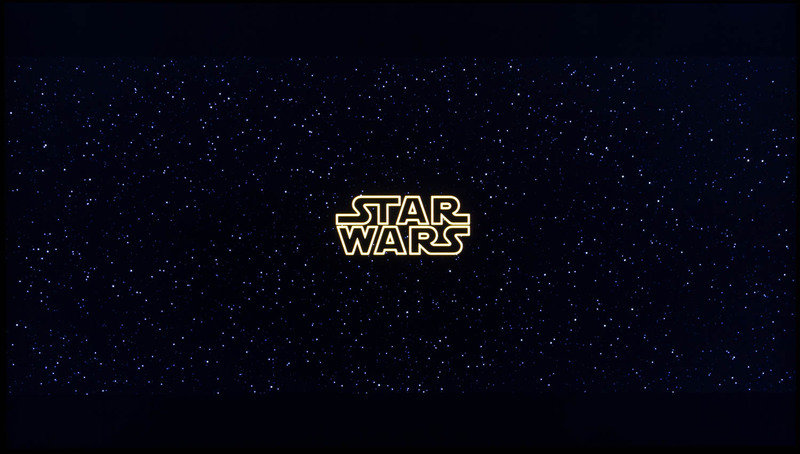 In the beginning of our review it was noticeably when watching content on a day-to-day basis. For some reason, it actually faded after a few days of use and at the time we returned the The Frame it had almost completely vanished. That sounds like some form of witchcraft but it was corroborated by another person who saw the TV multiple times. 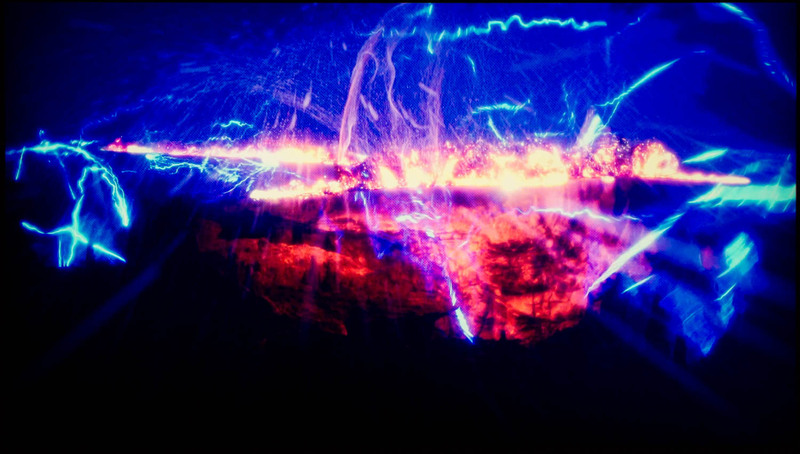 Besides that, backlight homogeneity is fairly even – especially considering the 65" format – but our long exposure shots reveal that there is some bleeding from the corners. This was not noticeable in actual use. Based on our latest reviews it appears that Samsung has improved backlight homogeneity – or maybe we have been lucky. Either way, we have been positively surprised by the results. The viewing angles are typical for VA LCD panels that Samsung use in pretty much all of its TVs. The company touted a new type of dual-zone pixels at CES 2017 but they never made it into any of the consumer TV, so unfortunately colors and contrast start to degrade visibly from around 20-30 degree angles. If you seek better off-axis viewing performance you should instead focus on IPS-based LCD TVs or OLED. 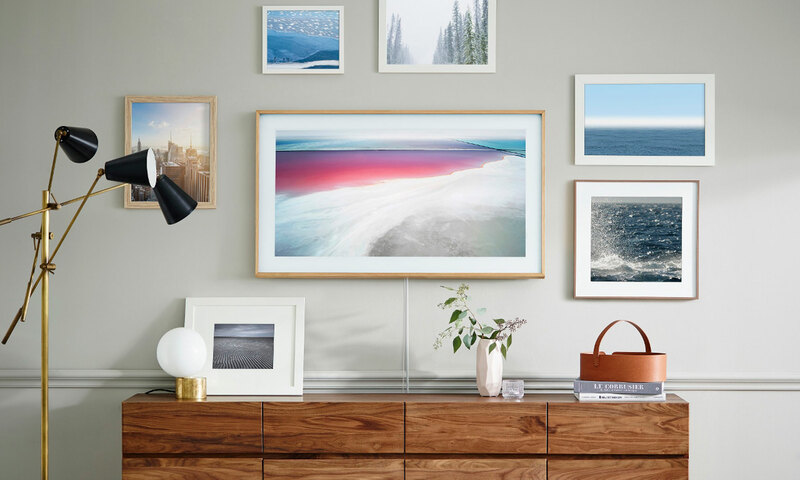 Samsung The Frame is the latest addition to the line-up of design TV from the South Korean company, following in the footsteps of the Serif TV. 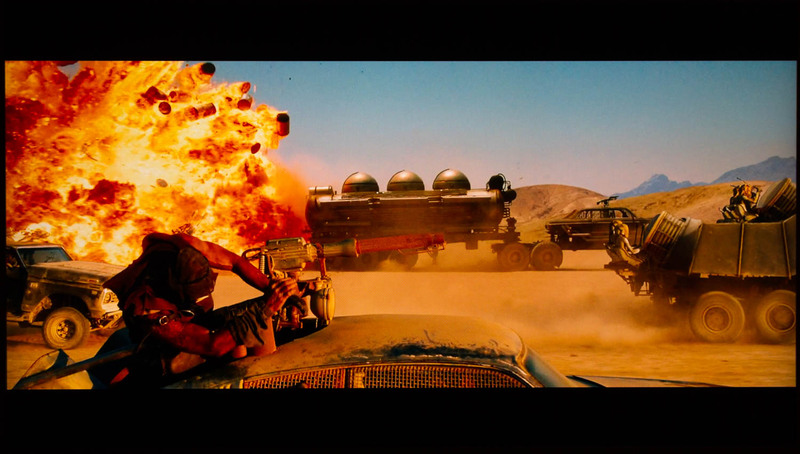 While some other TV manufacturers offer a photo mode via an app, Samsung has made it a core feature of The Frame. In addition, The Frame takes advantage of the One Connect box from the Q series to ensure a clean and minimalistic look. It is not just a MU series TV in disguise. After we tweaked picture settings, we found picture quality in general to be convincing. Sources ranging from SD to 4K look good. 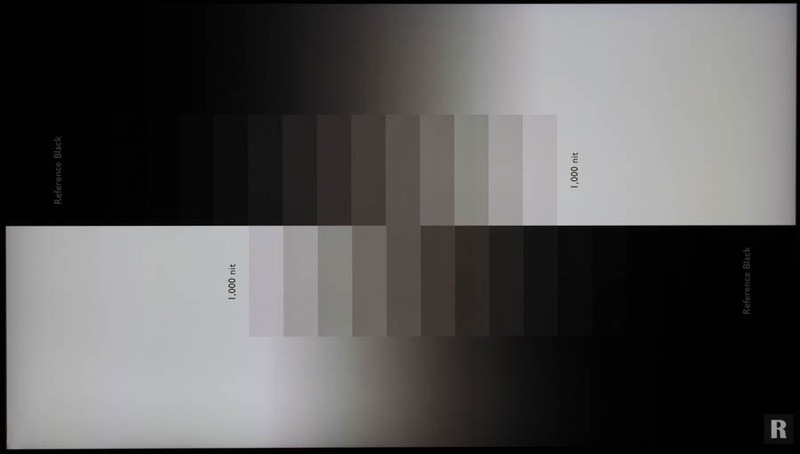 HDR is the exception, and the way Samsung has implemented the wider color space also proved problematic. 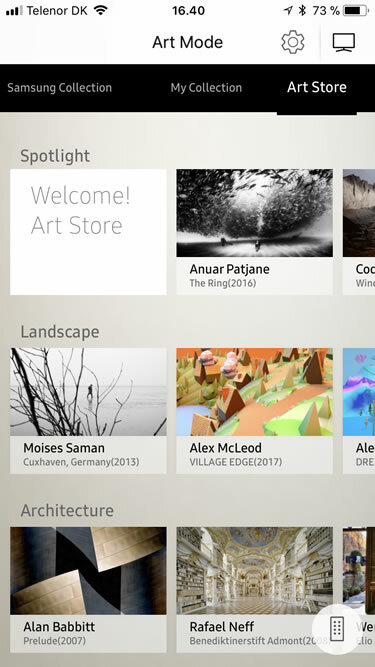 Tizen has become markedly better. It is now offering a good user experience together with a remote control that has been redesigned for the modern age. Compared to other platforms in Smart TVs, Tizen is today one of the best. However, we miss the twin tuner. Of course, the picture frame functionality is where The Frame differs from other TVs and it’s the feature that is supposed to justify the higher price tag. We think that the starting point is good but there is room for some tweaking. It also feels a little pushy that Samsung has conveniently launched an art store that requires you to pay $5 per month in subscription fees to get the full benefit of the TV. Still, as a design element in the living room The Frame is an appealing solution to the problem of having a large black surface in the living room whenever the TV is off. 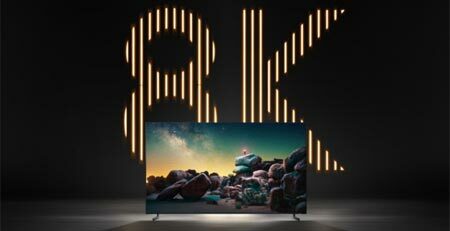 From a picture quality standpoint, The Frame is comparable to TVs such as Sony X85E (XE85), Panasonic EX700 and Samsung’s MU range, so of course these offer more picture quality for your money. But if you want something out of the ordinary and is prepared to pay a premium for it The Frame is definitely a TV that you should take a closer look at. If the price was more favorable we may even have recommended it.